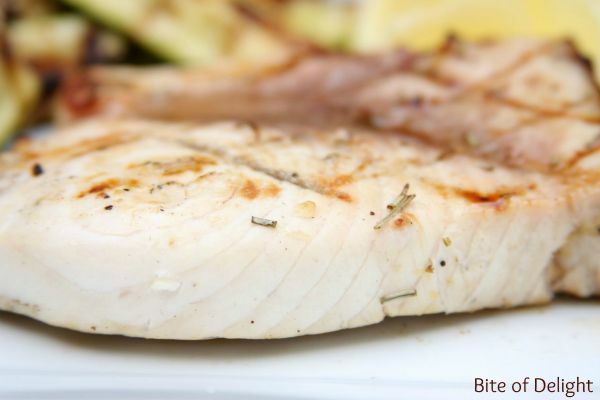 Grilled Swordfish Steak was new territory for us since we really don’t eat a lot of seafood. We weren’t sure what to expect before the swordfish went on the grill, but all I can say is WOW! It was fab.u.lous. It wasn’t a flaky texture like salmon, it was firm and juicy and mild and so delicious. 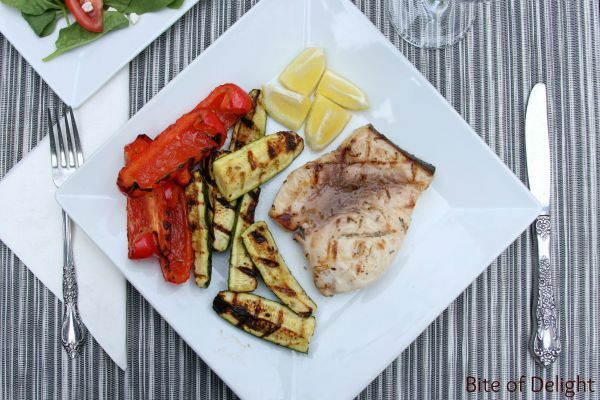 If you splurge on swordfish, be sure to give this marinade a try, you’ll love it! I bought fresh swordfish steaks from Whole Foods. They had frozen steaks too, but I opted for fresh when the guy behind the meat counter told me that fresh was really the way to go. So I can’t compare to frozen, but let me tell you, this was so delicious that we were sad there wasn’t more! Combine lemon juice, oil, rosemary, garlic and salt & pepper in a zip top bag. Add swordfish steaks and let marinate about an hour. Heat grill to med-high. Remove steaks from marinade and discard. 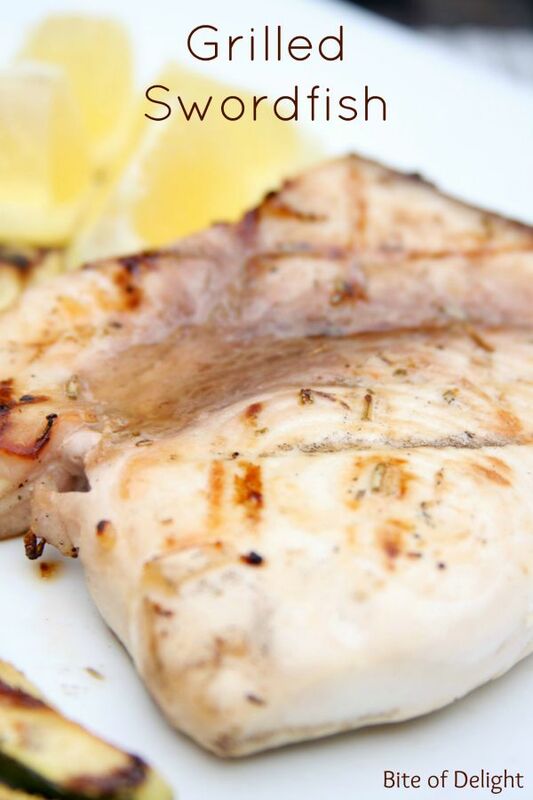 Grill swordfish for 4-6 minutes per side, or until just opaque. I am a Whole Foods Blogging Ambassador. This post was written in exchange for a gift card to purchase food. Any opinions are my own.